Interested in a career in Homoeopathy? At Allen College, we provide a wide range of courses, including Diploma and Post-Graduate courses, hands-on courses, summer schools, clinical training and distance learning offering worldwide, our video link interactive courses across the whole curriculum of classical and traditional homoeopathy. We offer a range of comprehensive training in England from our College in Chelmsford, only 35 minutes from London. Our training and courses are run by teachers with an international reputation and vast experience of cured cases. All students receive individual support and guidance and have an extensive support network. Our structured, practical training is specifically designed to produce confident, competent and capable homoeopaths who have all the skills necessary to set up their own successful practices after graduation. We offer a range of comprehensive training in England from our College in Chelmsford. Our training and courses are run by teachers with an international reputation and vast experience of cured cases. All students receive individual support and guidance and have an extensive support network. We offer a Clinical discussion programme in Homoeopathy in which at least 200 live cases are demonstrated. The aim of the 2 week clinical training programme entitled "VISITOR HOMOEOPATH'S EXCHANGE DISCUSSION PROGRAMME" (VHEDP), is to demonstrate a simple, straight forward, time tested classical method of Homoeopathy. Participants are delighted to see Homoeopathy (or Homeopathy) that works, can be so simple. We also offer worldwide, our video link interactive courses transmitted live from the classroom, using the state of the art technology from www.webex.com for clear sound & picture (live interaction possible during the teaching) and the recorded session will be available for unlimited viewing at your leisure time for 2--3 weeks, after each session. Allen College of Homoeopathy is headed by the Principal, Dr. Subrata K. Banerjea and Joint Principal Janet Banerjea. Dr. Subrata Banerjea, BHMS; FFHom. ; FHMA is an internationally respected teacher and clinical Homoeopath who has lectured around the world since 1985. For five generations, the 'Banerjea family' has been recognised as authorities on Miasmatic Prescribing and Dr. Banerjea continues this tradition, by teaching the practical application of this aspect of prescribing. After graduating from the University of Calcutta, he practised in thriving clinics in Calcutta for over twenty years before moving to England. 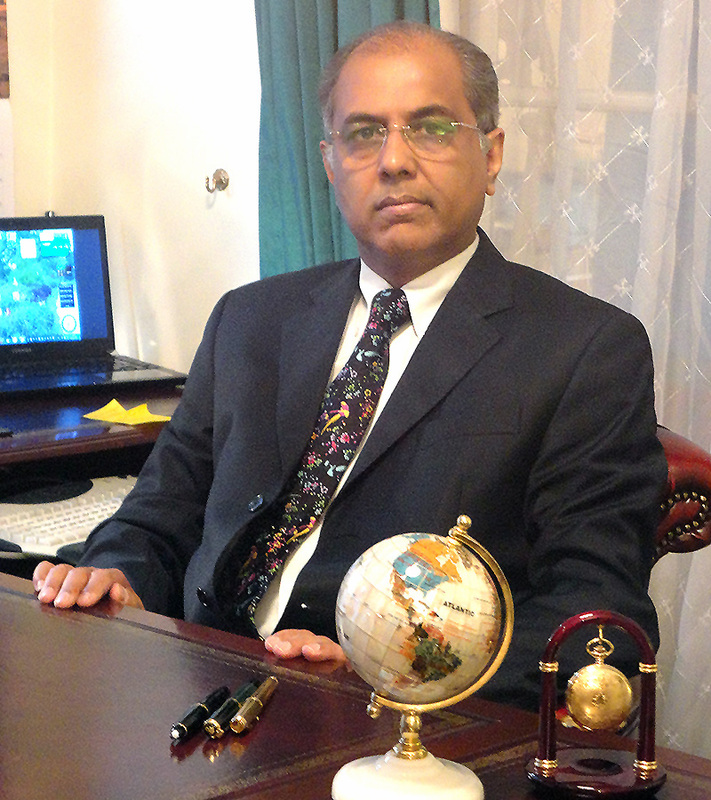 Dr Banerjea enjoys the challenge of Homoeopathic practice in advanced cases and regularly teaches all over the world. Janet Banerjea RSHom has practised since 1991 and lectured since 1992. Her experience with a wide variety of cases enables her to make insightful prescriptions. 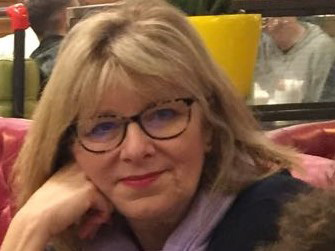 Janet continues to have an interest in the development of students and enthusiastically teaches case management alongside philosophical aspects of homoeopathy. Her regular supervision groups ensure graduates are supported in practice with lively discussions with discerning observation. "I first discovered homoeopathy, by chance really. I picked up a booklet on homoeopathy in a chemist, I tried it for some ailment and it worked like magic. A few years later, I had severe back problems and went to an osteopath/acupuncturist for treatment, for a few years. I was unable to go back to my profession as a chef in London. During this time, I became very interested in the health profession. Unfortunately my osteopath died suddenly. So while flicking through Yellow Pages to find another osteopath, I came across the Allen College of Homoeopathy, I was very intrigued............. went for an interview, the moment I arrived there, it just felt right. I started the 4 year undergraduate course in 2005. The course was excellent, great lecturers. Also a great privilege to have Dr. Subrata K. Banerjea as our main lecturer for Materia Medica for the whole 4 years. It was hard work, but all worth it.I have learnt so much, done things, that I thought I would never do, or even have thought of doing. I have been to the Bengal Allen Medical Institute, Calcutta twice, the Himalayas & Kerala. Have had the time of my life !! I also completed the 2 year Postgraduate course at Allen College. I am continuing to build up my own practice. I am also Technical Supervisor at Allen College with my colleague Beth Hatwell, we supervise the overseas & long distance students for the Video-link UG & PG courses. The amazing thing is during my 4 years on the course I never even used a computer, I hand wrote everything. The best thing about being a homoeopath, is to have the ability to help others have a healthy, happy life." " My journey into homoeopathy began in 1986 when I attended a short 'homeopathy first aid course'. I was looking into natural medicines for using within my family. This course enabled me to use first aid remedies at home to treat minor ailments and I was truly amazed at their success. Before this my career had been mainly in Recruitment in London, but when I had had my daughter my priorities changed somewhat and health became a much bigger focus in my life. After using homeopathy successfully on a small scale within my family I made a decision to study Homeopathy in depth to become a qualified practitioner. In 1998 I chose the Allen College of Homeopathy to study. The 4-year course was somewhat daunting but I was impressed with how well prepared it was. It included the study of anatomy, physiology, pathology, philosophy, therapeutics, and the homeopathic remedies themselves. I had a life changing 4 years, which although challenging, was the best thing I ever did. I gained my diploma and graduated in 2002. I have never looked back and I now feel privileged in helping others become "well" in all levels of their health." "My homoeopathic journey began in 2003 when I started having homoeopathic treatment myself. Arriving at my consultation, I remember saying to my homeopath 'can you help me?' To my delight she did, and my world opened from then on. With my improving health came self-awareness and a deep desire to help others back to health. Struck with how different homoeopathy was to conventional medicine, it 'spoke to me'. Who was I to resist? My search to study led me to Allen College Of Homoeopathy and I have never looked back! There, I found a new world of knowledge, learning, discussing (and hard work!) in a welcoming, unprejudiced environment. Throughout my time at Allen College, Principal Dr. Banerjea amazed me with his dynamism, enthusiasm and knowledge of Material Medica, Vice Principal Janet Banerjea radiated warmth, humour and incredible insight into the philiosophy of homoeopathy and co-founder Ann Perry resonated with a serenity and wisdom and brought case taking 'to life' in the classroom. I would recommend Allen College Of Homoeopathy to anybody looking to be a qualified homoeopath."